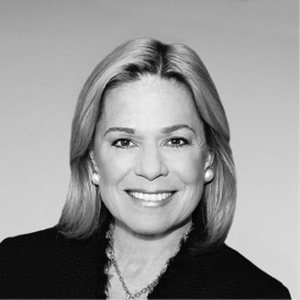 Ms. Jane Lyons, a Managing Partner at New York City-based Rhodes Associates has accepted the role of the Americas Regional Leader for IRC Global Executive Search Partners. Rhodes Associates is a retained executive search firm specializing in the real estate industry and is one of several IRC member firms in the US. Jane has been a Partner at Rhodes Associates since 1998, specializing exclusively in the Real Estate industry, and has completed more than 500 search assignments. Prior to launching her career in search, Jane worked in marketing and sales for the Wharton Business School and CBS, Inc.
Jane is a member of the Urban Land Institute, Pension Real Estate Association, Mortgage Bankers Association, Commercial Mortgage Securitization Association, Cornell University Real Estate Council and is a participant in the 2007 ULI YLG Mentor Program. Jane holds a B.A. from the University of Maryland. 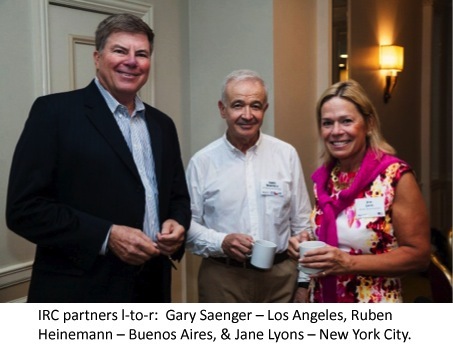 Warren Carter, member of the IRC Executive Board stated: “Jane’s energy and infectious enthusiasm will be instrumental as we seek to add greater depth and specialization within our member firms in strategic areas of the Americas. Clients of IRC member firms globally have benefited from the specialized expertise of member firms such as Rhodes Associates. Jane will be an integral part of that effort. The QualiFind Group is a proud member of IRC Global Executive Search Partners and is the exclusive member for Mexico and Panama and is one of several member firms in the US. IRC is a global alliance of executive search firms, united in their commitment to provide the highest possible standards in management recruitment services. With a growing roster of leading executive search firms across Europe, Middle East, the Americas, Africa, Asia and Australia, IRC Global Executive Search Partners has more than 300 accomplished executive search professionals in 80 offices across 6 continents.